The Premier League came back with a bang last weekend. Man City lived up to their tag as champions as they cruised to a 2-0 victory over Arsenal at the Emirates. Chelsea got off to a good start under Maurizio Sarri. Jurgen Klopp's Liverpool are as free-scoring as they have ever been and Man United laboured to a 2-1 victory over Leicester City. How much did we miss weekly football? 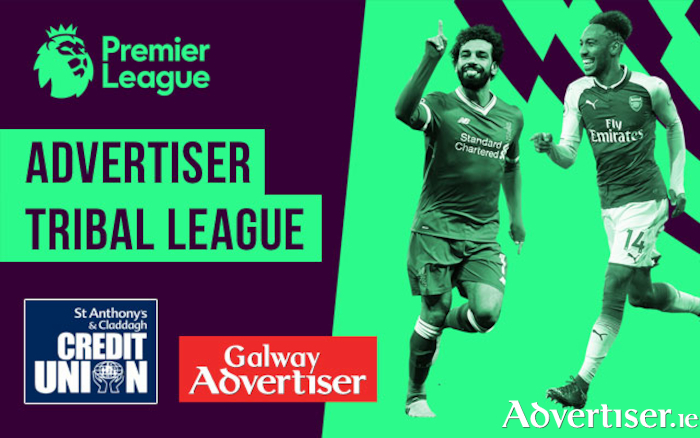 But that was last week and Saturday is a new round so who should you select to earn precious Fantasy points for the Advertiser Tribal League in association with St Anthony's and Claddagh Credit Union? The Argentine may not have hit the target against the Gunners last weekend but as he proved against Chelsea in the Community Shield a fortnight ago, he is still one of the most potent attacking weapons in the league. Huddersfield travels to Eastlands on Sunday, and the way they defended on the opening day against Chelsea suggests only one result; goals, goals for Sergio Aguero. Make him your captain for double points. The Belgian genius was kept on the bench for their opening round match but when he came on for a cameo appearance, he produced a dazzling run and pass to set up teammate Pedro for Chelsea's third goal against Huddersfield. That spells an ominous sign for Arsenal as Chelsea manager Maurizio Sarri will no doubt start Hazard at Stamford Bridge on Saturday evening. Arsenal may have a new manager but they still cannot defend. Expect Hazard to make hay in west London. Get him in your team. The young Brazilian had a brilliant competitive debut last weekend as he bagged himself a brace of goals at Molineux. Everton's big money signing already looks money well spent. I expect him to perform to a similar level against Southampton on Saturday afternoon. Get Richarlison while he is considered a bargain at £6.6 million because his price will no doubt rise. Who will be the Advertiser Tribal League's special one? Page generated in 0.1004 seconds.